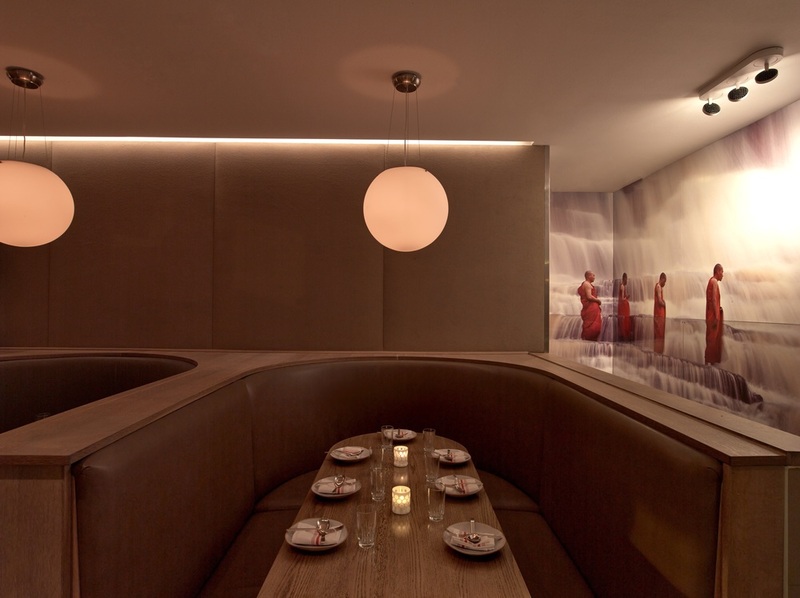 GrizForm Design Architects teamed up with restaurateur Mark Kuller to create Doi Moi and 2 Birds 1 Stone, a restaurant and lounge concept in Washington, DC’s Logan Circle area. Doi Moi’s architecture is mostly monochromatic with a nuanced white color palette employed throughout. The design team incorporated clean lines, glazed tiles, white brickwork and mosaic flooring to emphasize this lightness. The bright and uplifting space features a fresh design aesthetic that complements Doi Moi’s light, Vietnamese and Thai street food-inspired fare.